Have you ever thought of using Instagram to enhance and rebuild your brand reputation and take your business to the next level? Do you know that how you can use your images and videos in a way that your customers are impressed with your brand reputation? 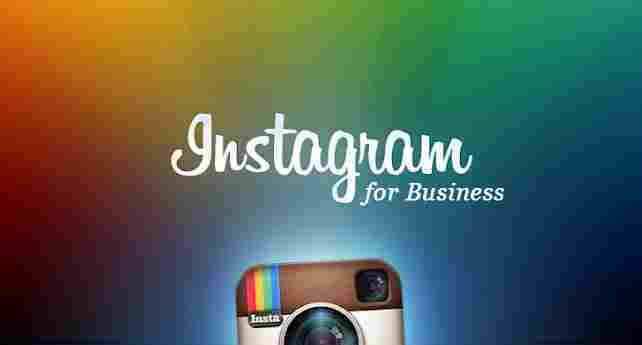 Using Instagram for your business is pretty simple. Sign up for an account; give it a name and put up a profile picture. That can be anything e.g. your brand logo. Also, you can add links to your website and other social media accounts. Following are the different steps to use Instagram for your business. In order to understand more about Instagram and its particular use for business, you can concern the Instagram business blog. Due to the increasing interest of people and brands over Instagram, this site has started Instagram for business where you could get lots of tips for using it in a better way to make sure your business or brand is getting known to maximum people. Balance is the rule of nature. It’s very necessary to keep a balance between fun and business related information on your account. You should use interesting images that can relate to your brand and is informative enough. Using fun all the time is not healthy for the success of your business. Try to understand the nature of your audience and upload things accordingly. Create a good following by using certain tactics like you can follow your followers back and send people direct messages to follow you. This way you are showing your brand to maximum people and getting it the name of brand become more knowable for people. Also, by following back your followers, you can get a chance to know about their taste and particular interests. To gain some instant followers for your new profile, you can use services like Vibbi. Vibbi is basically a service that lets you purchase Instagram followers, views, and likes at affordable prices. Use of quality visuals is necessary. You should be aware of the importance of visual communications. Always use visuals that are consistent in their styles and presentation. Follow a color pattern and then stick to it to create a symbol of brand recognition. Do not kill the purpose of pictures by using excessively long captions. To maintain your Instagram account, its visuals, and to handle its creativity, you can hire a professional who knows about the ways to attract people through good quality visuals and other creative work. You can use as more as 30 hashtags in a single post but that doesn’t look good. Try to use 3-4 hashtags at a time. By following this strategy, you will find out how much followers you have increased. Hashtags are basically the search tool for your brand. It helps people find about your activities through hashtags. If you have a running business or you just have started a new one, it is very important to spend some money in a good cause or you can run campaigns to support different nonprofit organizations and can distribute giveaways. This way you will see how your business flourishes. Promote other brands and their cause so that they can do the same for you. In this way, their followers will become yours. No matter how busy you are, you just have to provide all the information about your activities to your followers immediately. Not only on Instagram but every account. Don’t be late in sharing your good work. Also, mention about your bio on your brand’s page. Provide your website link. These are some major points to look up to for setting up your business on Instagram. Next Post: What Is an IoT Attack and How Can You Prevent It?